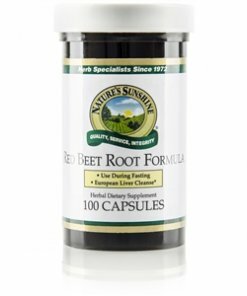 A combination of licorice root, red beet root, fennel seeds, and hawthorn berries, Nature’s Sunshine Red Beet Root nourishes the body during times of fasting or when the body’s energy sources are depleted. In such times, the glandular system needs the extra support that the Red Beet Root Formula provides. Instructions: Take two capsules five times daily.